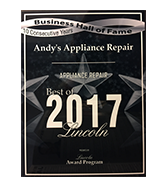 Andy’s Appliance Repair& Parts House is Danby factory-trained and authorized to provide affordable appliance repair to the folks of Omaha. 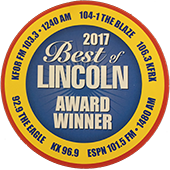 We are factory certified to perform warranty and non-warranty appliance repair services for any and all of your Danby appliances, old or new. 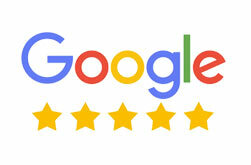 If you are in need of residential appliance repair on appliances like ranges and ovens, ice makers, dishwashers, fridges, washing machines, dryers,ovens, microwaves and more, Andy’s Appliance Repair represents an ideal blend of quality and value. We don’t charge you an arm and a leg to get the job done the right way. 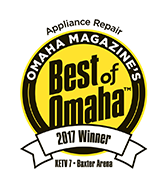 We’ve been serving Omaha, Lincoln and beyond with quality kitchen and laundry appliance repair for over 45 years, so it’s safe to say we have an understanding of what this industry and our customers demands. Danby is the name of a line of appliances marketed by Danby Products LTD, let by Guelph’s Wood family and founded in 1947. Danby claimed the largest market share in the compact appliance category in North America in 2012. It is privately held Canadian company headquartered in Guelph, Ontario. Danby is not a manufacturer, rather is affiliated with manufacturers in China, Mexico and the United States. Danby sells compact and specialty appliances such as microwaves, compact refrigerators and apartment size refrigerators and freezers, wine coolers, ranges, washing machines, air conditioners and dehumidifiers.